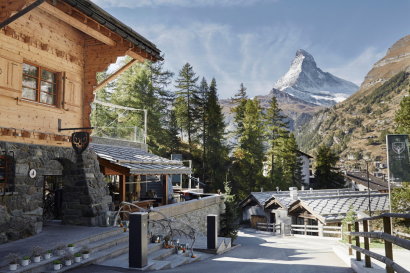 In December 2009, Seraina and Daniel F. Lauber celebrated becoming hosts of their own hotel and restaurant in a dream location with view of the Matterhorn. The view alone of the Matterhorn is simply sensational. The scenic location between the edge of the forest and the outskirts of the village is unique and radiates rest and relaxation. 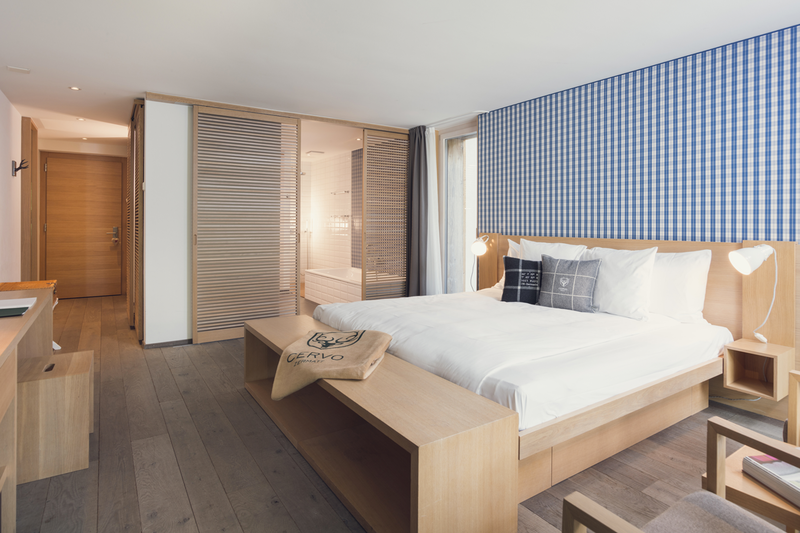 The new hotel consists of eight chalets with spacious rooms and suites. 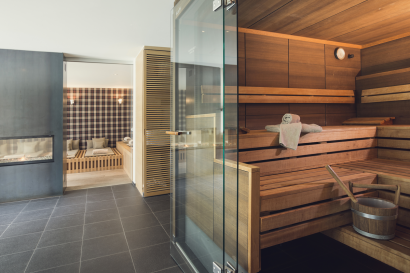 All contain a private wellness room for the exclusive use of hotel guests in their respective chalets. 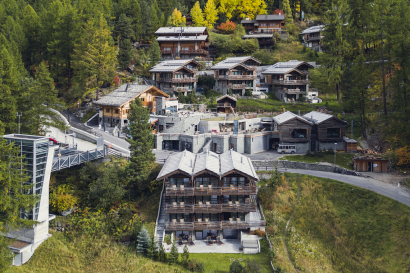 All chalets are easily accessible by lift and a footpath. 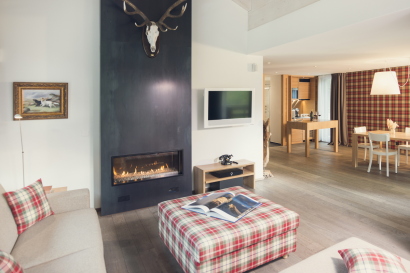 The distinctive design creates a balance between Alpine chalet, mountain hut and hunting lodge, with just the right amount of modernity. And the architecture incorporates the special characteristics of this unique setting on the edge of the forest. 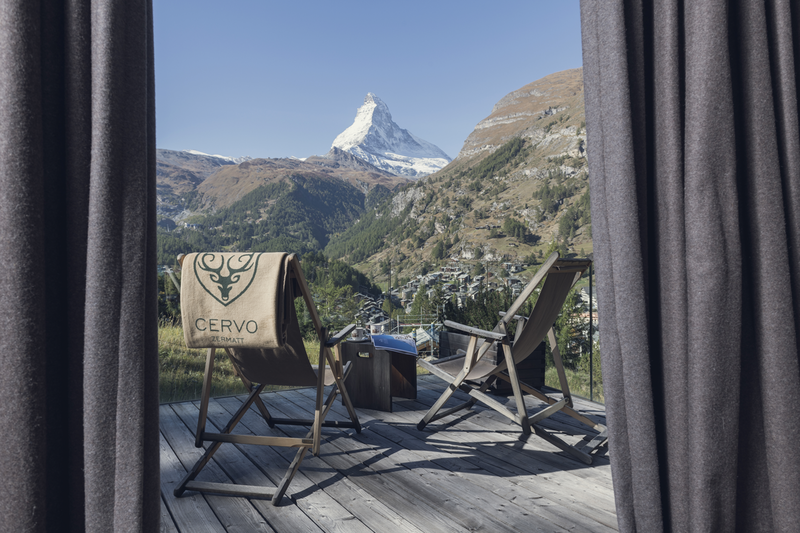 The CERVO is the creation of the MLS architectural bureau in Zermatt under the direction of Roman Mooser and interior designer Roger Bächtold with his P.5 team from Zurich. Where nature and human beings live in harmony, there is no room for hierarchies. Here individuals depend on one another, and respect and solidarity count for more than money or titles. This defines the style and sets the tone at the CERVO – never mind who you are or where you come from, you can feel free to hang up your status in the wardrobe for the duration of your stay, and just be yourself. Zermatt lies at the foot of the fascinating Matterhorn at an altitude of 1608 meters above sea level. The imposing mountain landscape in summer invites to hiking, biking, climbing and high mountain tours. The Theodul Glacier is a summer ski area and the Matterhorn Glacier Express, which brings a viewing platform to 3883 feet above sea level. In winter, the snow reliable ski area offers many opportunities and opportunities for free-riders. The Gornergrat Railway, the Matterhorn Museum and the Gorner Gorge are other impressive destinations. CERVO guests can choose from six chalets with a total of 36 rooms and suites. Classy materials, natural colours and tasteful design form the setting for unforgettable holiday moments with a view of the Matterhorn. 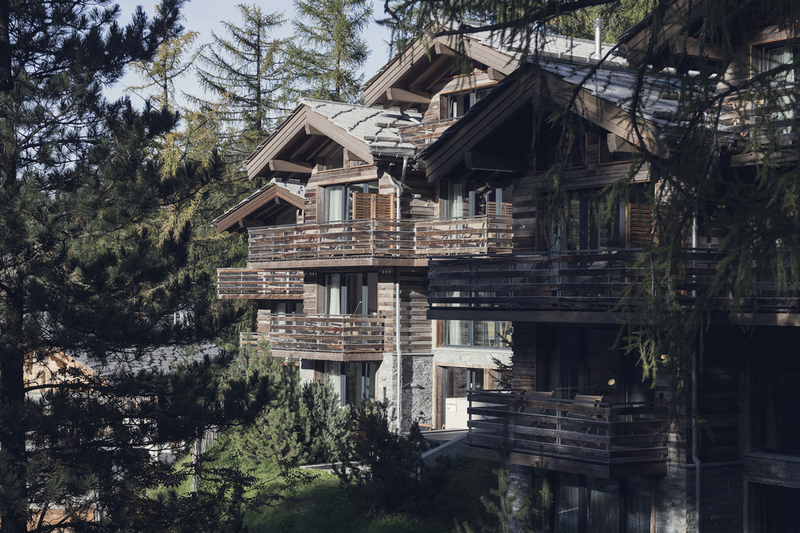 As each house has its own spa, you can enjoy the beauty of the Alpine world here in an intimate atmosphere – just as if you were staying with good friends. We serve traditional regional specialities, subtly prepared with sophisticated recipes of our own creation. In the mountains the winters are hard and the harvest scarce. This is why our ancestors learned to make only the very best of what nature has to offer. Today this inherited sense of quality forms the basis for the down-to-earth cuisine you will find at the CERVO Puro and Ferdinand restaurants and in our hotel lounge. Our menus are based above all on regional and sustainably sourced products, subtly prepared according to our own sophisticated recipes. 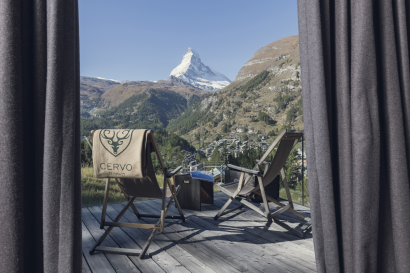 CERVO Puro: Cosmopolitan and alpine cosiness and a new menu every week: boasting 14 Gault-Millau points, our restaurant is bursting with fresh ideas to whet your appetite for more. Ferdinand: This casual dining restaurant is an architectural treat in its own right. Swiss tradition and international lifestyle form the perfect combination for Alpine enjoyment against a grandiose mountain backdrop. 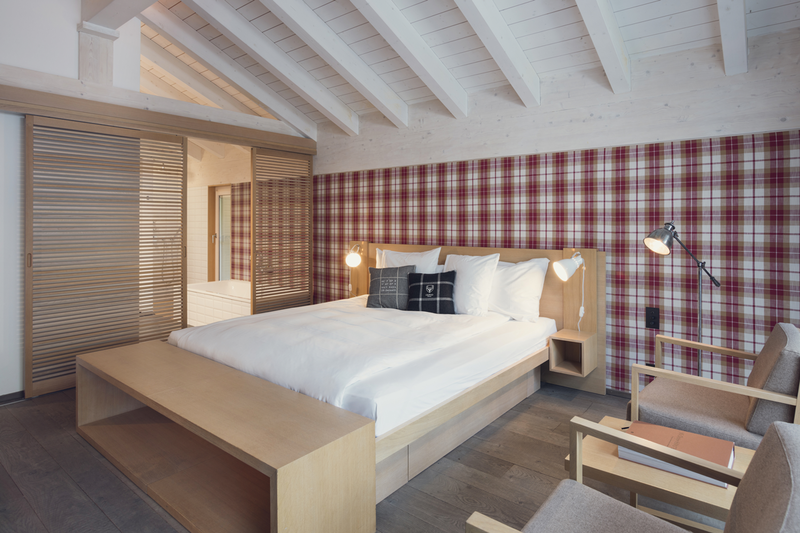 At the CERVO, it isn’t just the scenery that’s fantastic – it’s the entire package. Thanks to its unobtrusive comfort and state-of-the-art events technology, this is not just the perfect place for a holiday – it is also the ideal venue for inspiring meetings, seminars and conferences. 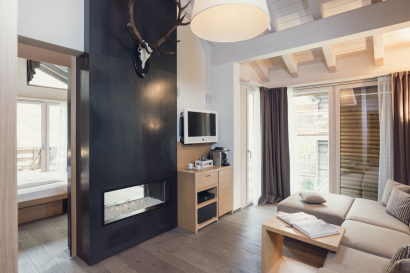 Or choose the CERVO as the place where you say Yes to a perfect life together. Warm hospitality, a delightful ambience and first-class cuisine – these are our trump cards for an unforgettable wedding reception. Switzerland and its inhabitants have many good points in their favour, of which we are justifiably entitled to be proud. 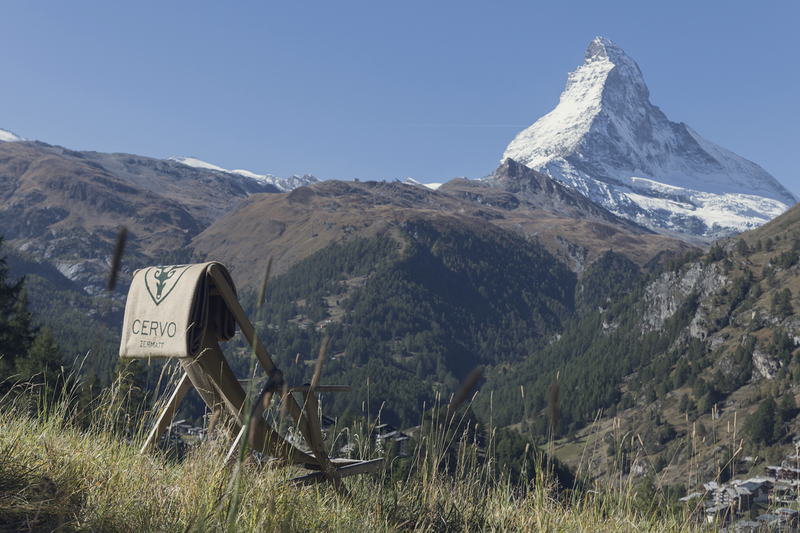 The CERVO has taken all the best aspects of Switzerland and reassembled them stylishly, so as to result in a unique all-around experience for visitors from both Switzerland and abroad. Cultural identities grow through the generations and are not always easy to transplant, even when they can be imitated. 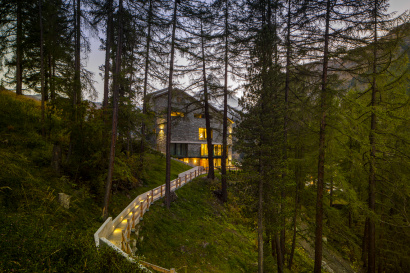 This is why there is a clear difference to be found at the CERVO between genuine tradition and pretentious Alpine chic. If a thing looks old here, it really is. If it is new, it has its roots in native craft traditions and methods handed down from the past. Zermatt is one of the most mountainous regions of Switzerland. However generous nature is here in lavishing us with its beauty, our ancestors nonetheless often had to struggle just to survive. As a result of long years of privation, we have learned that only what is solid and of optimum quality can hope to survive. At the CERVO an inherited sense of quality penetrates all levels of the establishment like a golden thread, right to the present day. From the architecture to the decor and the cuisine – you won’t find us resting content with half measures. Switzerland has always been a pioneer in the tourist industry. Long before the first hotels opened their doors elsewhere, Switzerland was already receiving and looking after visitors. In those days visitors were not just economic statistics – first and foremost, they were friends. The idea was to make their stay abroad as pleasant as possible and at the same time impress them with the charms and advantages of the host country. At the CERVO, we are still practising this kind of hospitality today. Because Switzerland is a small country – and perhaps above all for that reason – we like looking beyond our own borders. This curiosity about the world and its inhabitants is characteristic of the CERVO, both within and without. Whether in relating to our guests or in the search for inspiration from the outside world, for our architecture, decor or cuisine – with us, Switzerland can well grow a little bit beyond itself. 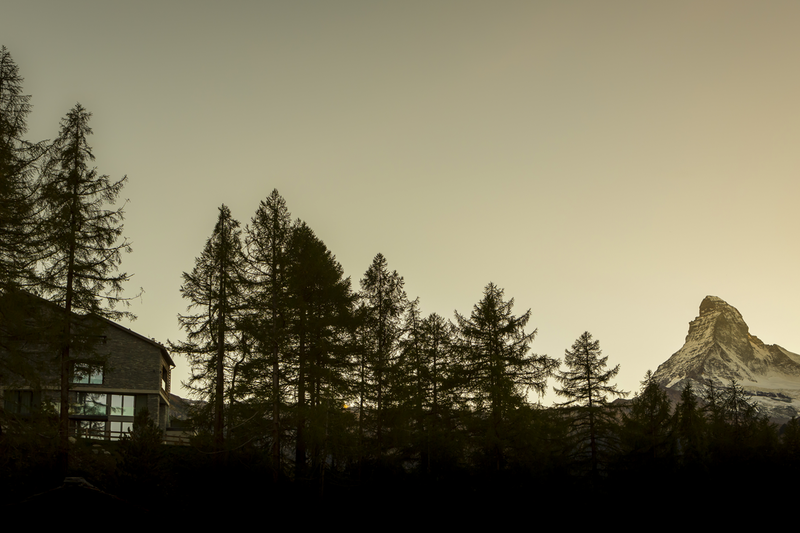 The best-known mountain in the world is at the same time our most distinguished visitor – you can see it from just about every one of our windows. Skiing enjoyment starts and finishes for our guests right on the doorstep. This is not just a major convenience – it’s also unique in the village of Zermatt. Our establishment combines quality, lifestyle and loving attention to detail, resulting in genuine hospitality and an unconstrained atmosphere.